In 2016 Entelechy Arts were one of 16 organisations funded by the GLA’s ‘Get Moving‘ initiative to support older people to become more active. Through this project, Entelechy’s dance and movement artists delivered sessions in care homes, sheltered housing units, the Ladywell Dementia Unit and at The Albany. 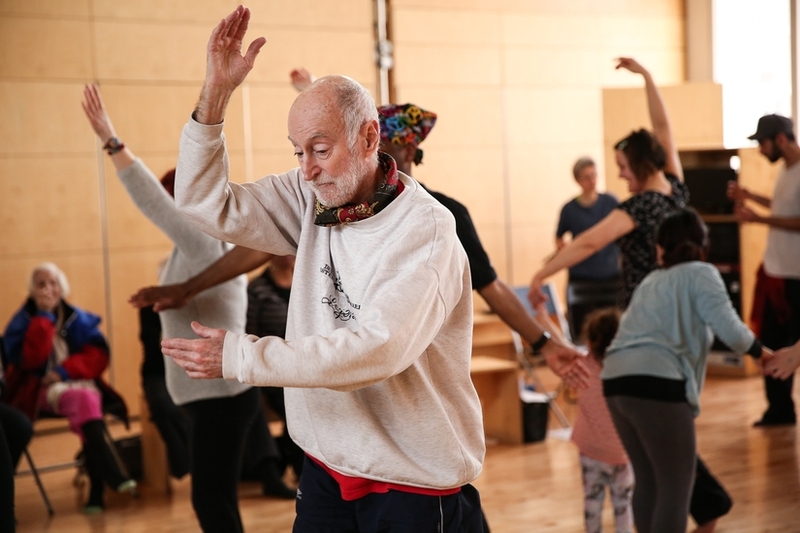 The project tested new ways the health and arts sectors can work together to support ‘at risk’ older people to include movement in their lives. Staff in care settings noticed the benefits of a creative approach to improving wellbeing of residents living with dementia and the project embedded more physical activity into on-going work with older people. In 2017 we will be building on this area of work, delivering further sessions supported by London Catalyst.